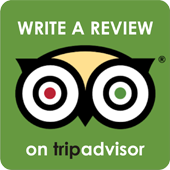 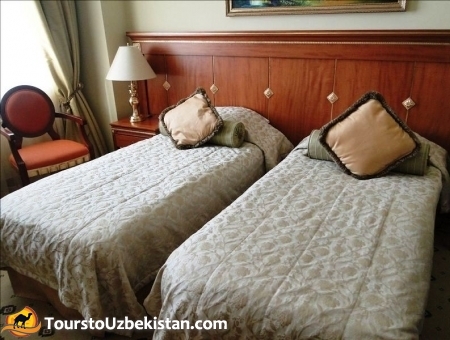 Including: single, double deluxe and family rooms. 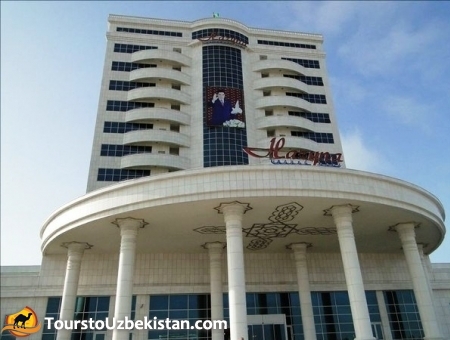 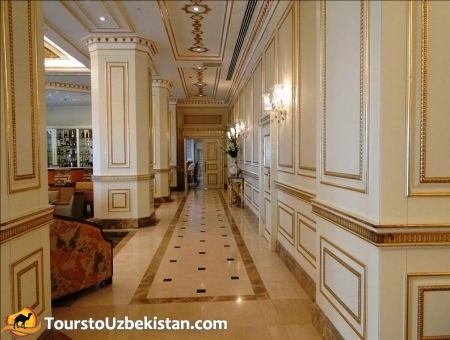 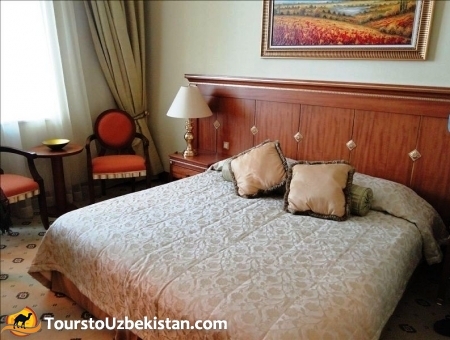 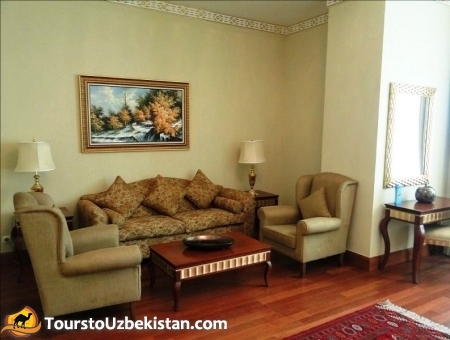 Hotel “Hazyna” is considered the most luxurious hotel in Awaza. 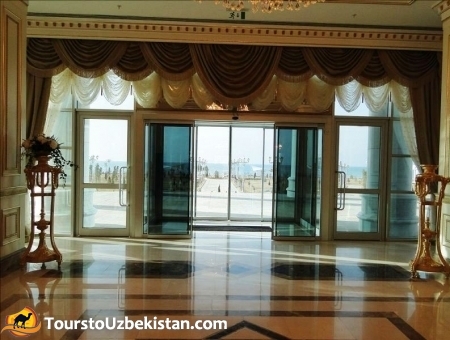 The word “hazyna” means Pearl of the Turkmen. 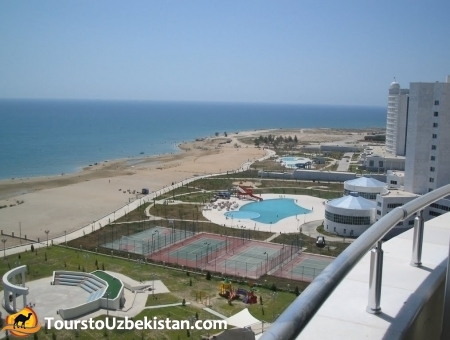 The hotel is located right on the beach, and has its organized beach. 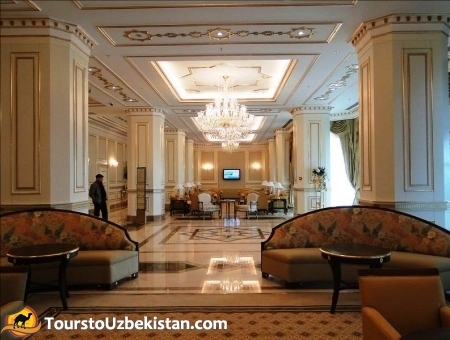 The territory of the hotel impresses with its design: beautiful lights, manicured beds of bright flowers, ornamental palms. 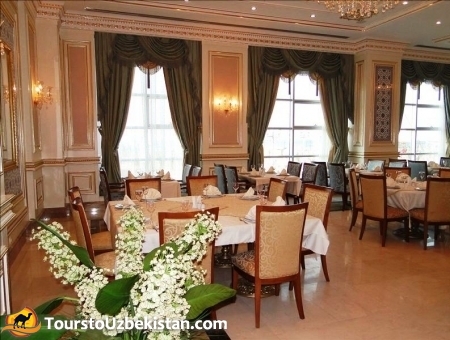 The luxury hotel's restaurant serves breakfasts, lunches and dinners. 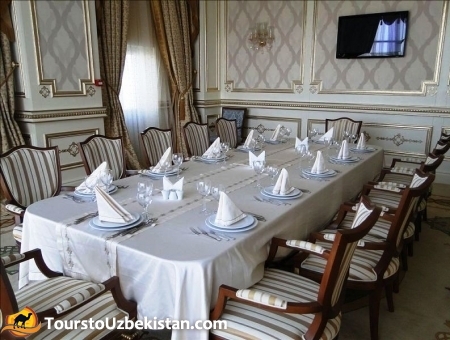 The price includes three meals a day. 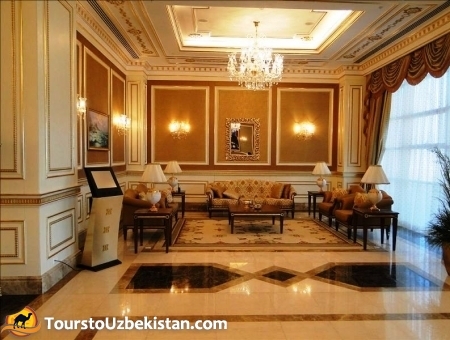 In the lobby bar you can order any drinks, from the local Turkmen cognac up to the French cognac “Hennessey”. 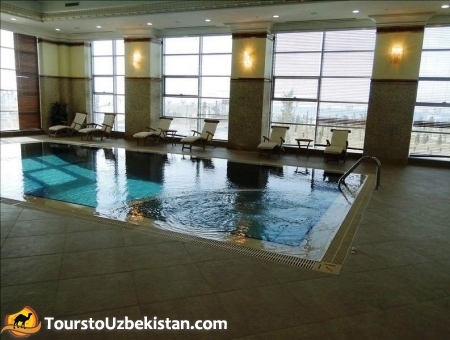 Hazyna hotel has a staggering spa center that offers massage, mud and medical procedures. 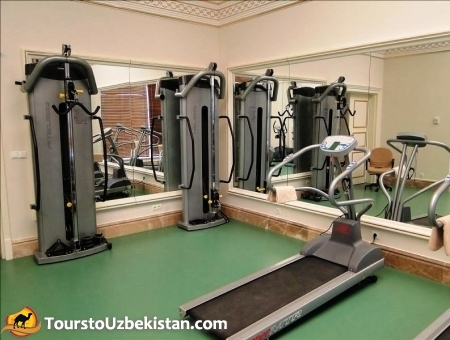 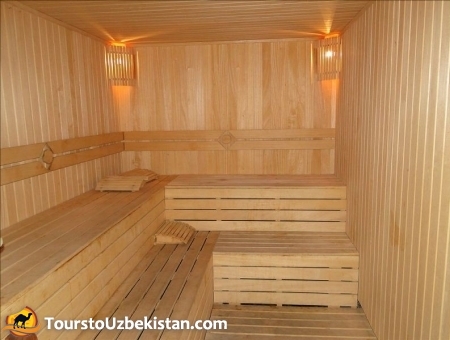 There are indoor swimming pool, sauna, herbal tea room and medical service in the spa center.